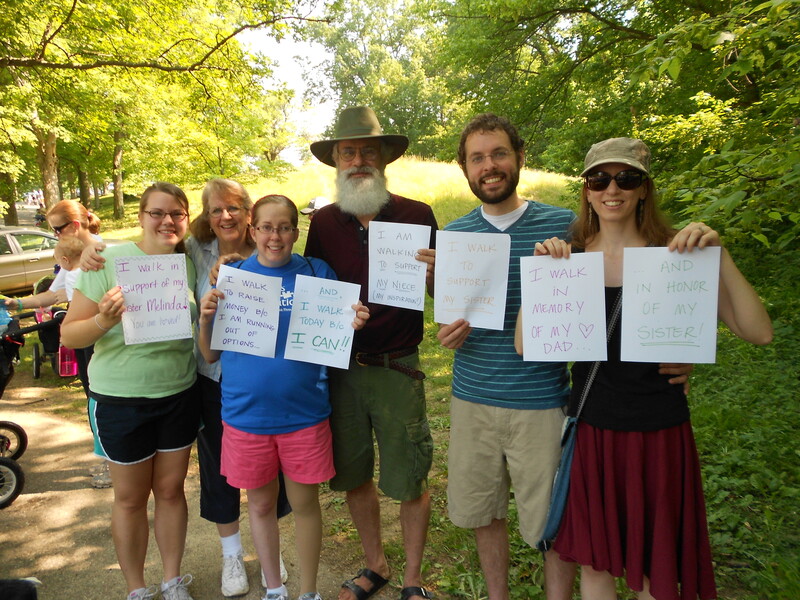 Team: We Walk with Mel! 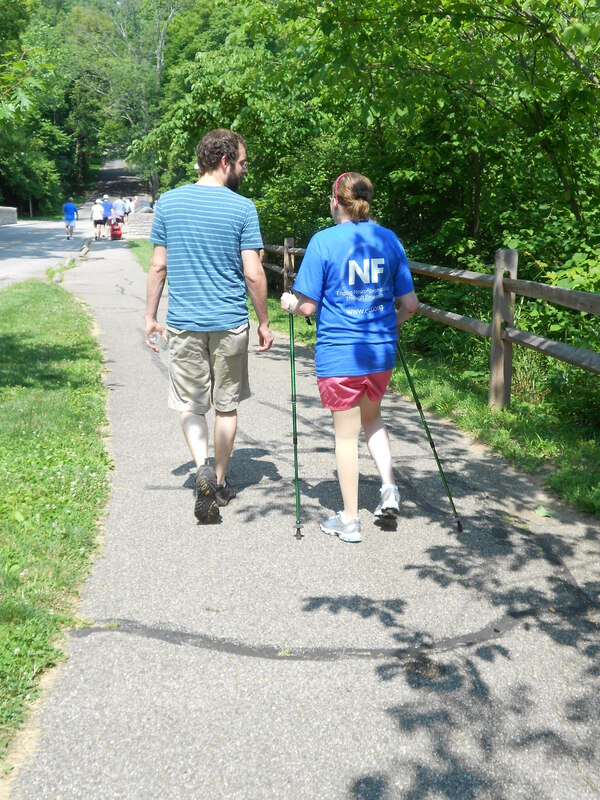 Galatians 6:2 says, “Bear one another’s burdens…” and yesterday was another example of how you reflect this verse in my life as I walk with NF2. 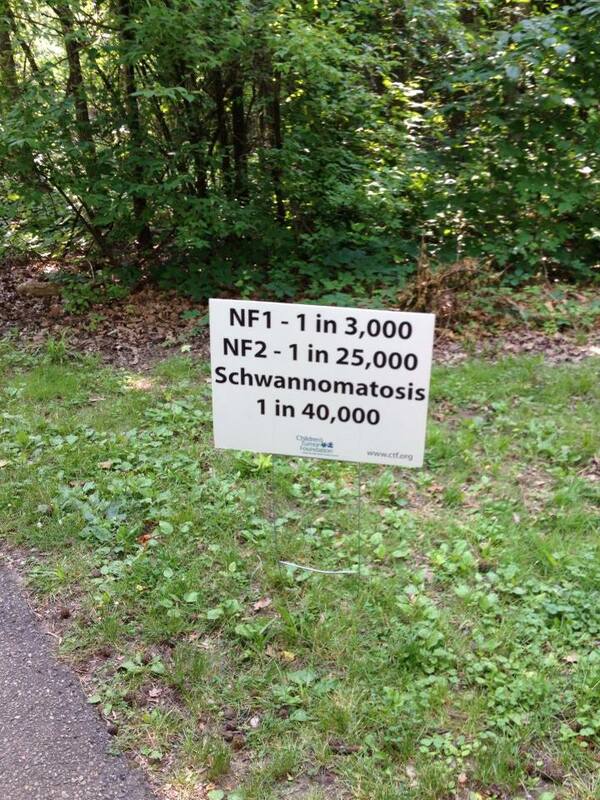 I was never expecting to raise a lot of money, but through your generosity, I was able to help contribute over $800 to the NF Walk cause: research. 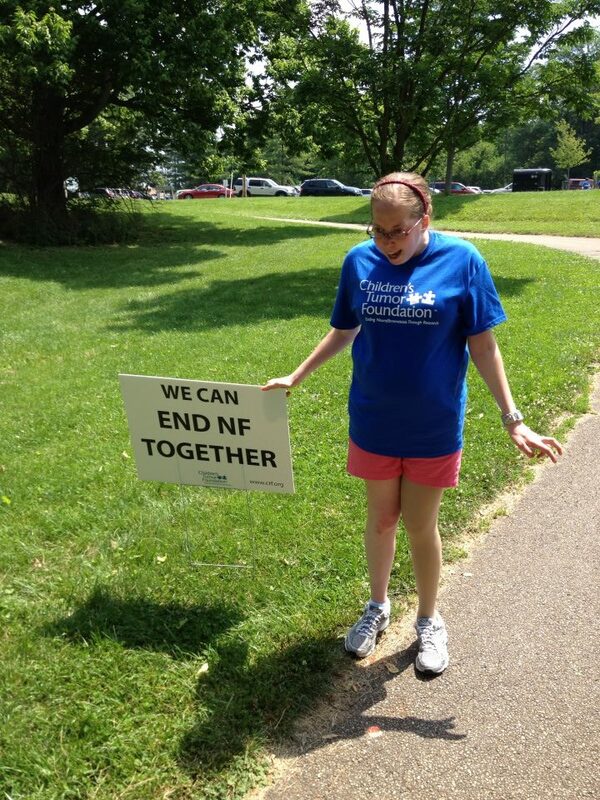 As a whole, the Cincinnati NF Walk raised a few hundred d0llars over their goal of $25,000!!! I can walk! And I think I should get into a praise habit and thank God every morning when I get out of bed, because it is only through God’s strength that I still can. Yesterday was not an easy walk. 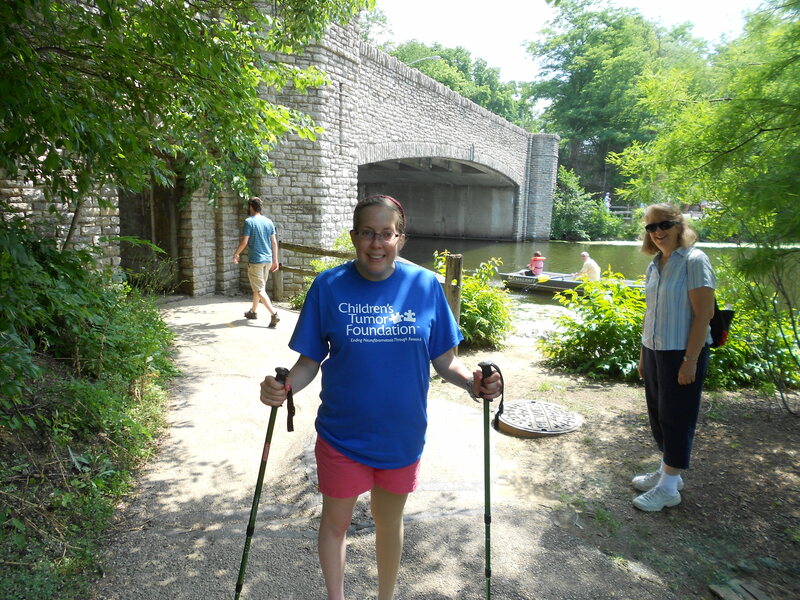 In fact, it was much more physically enduring than the Women’s Center Walk last month or even my fall off the treadmill a few days ago, but the truth of the day: I was there, because I can walk! But even though I can still walk, I would have never made it through the 2-mile trek alone. I consider you all on my “team,” but I know everyone who wanted to be there could not all be there and thank you for your prayers from afar. 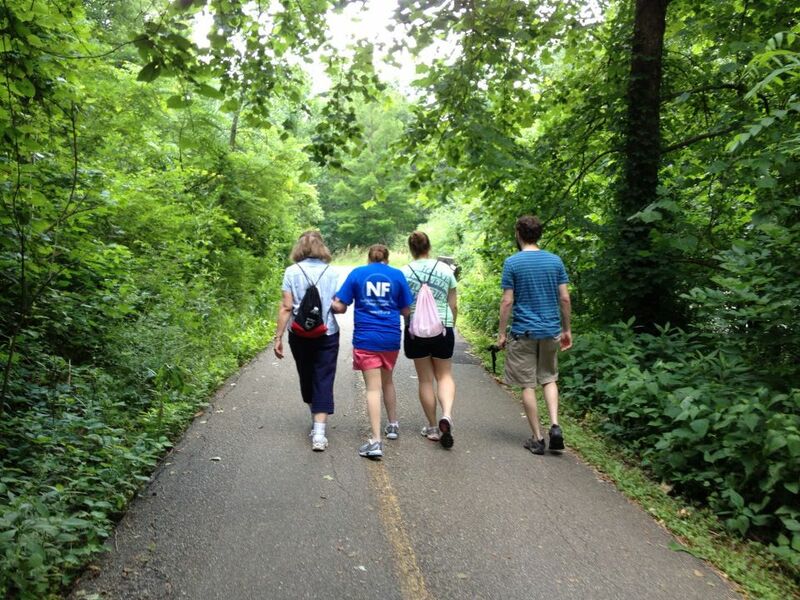 I did have a team with me though: (L to R) my younger sister, my aunt and uncle from NC, and my oldest sister and brother-in-law. Together they helped make my day both a fun one and a successful one. 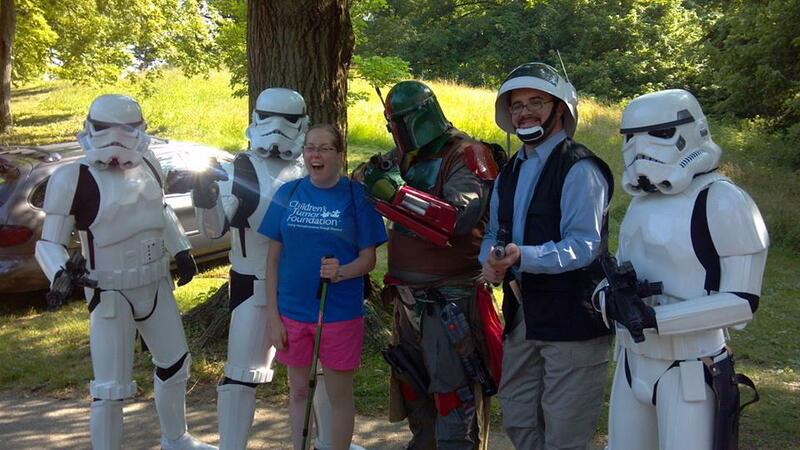 As we got started, we were first welcomed by Storm Troopers and bounty hunter from Star Wars. Being a fan, I thought it was hilarious they were there acting like crowd control and took a picture with them. 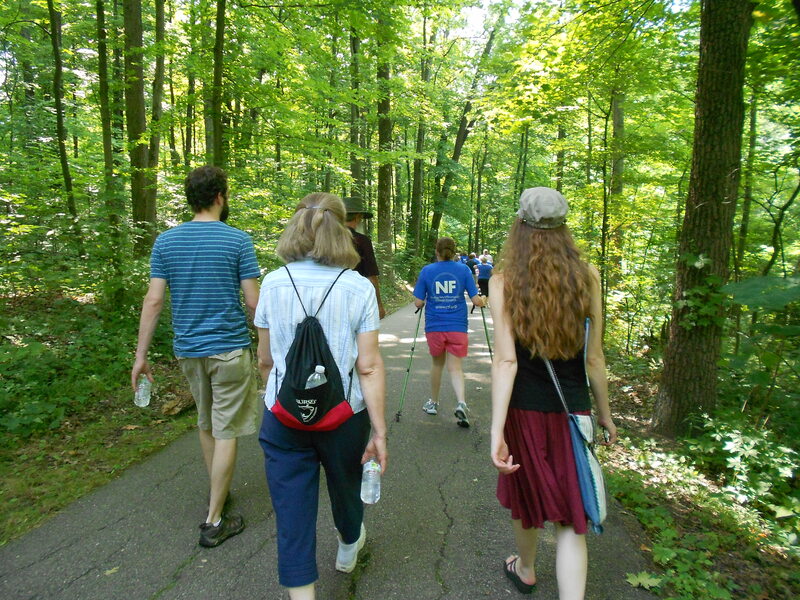 As you can see, there was quite a good turnout of walkers. Sadly though, we did not get to talk to hardly anyone else there, because by the time I changed my tee shirt and we did our picture with the signs, the walk was about to begin. 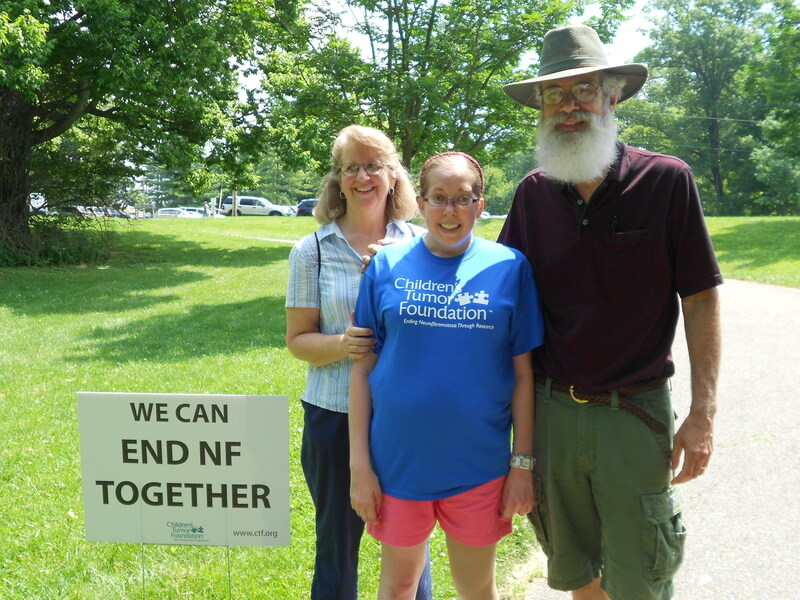 We were able to talk to one family that had NF1, only for a few minutes. They were very nice. We stopped often so I could take a drink and catch my breath. It was a lovely day but a toasty one!! By the time we got half way, I felt so tired (due to heat, not enough water intake and not a great breakfast to jumpstart my day)…that and my left foot was achy! Combination of bad balance and the path tilting slightly to the right, my left foot was feeling the weight! 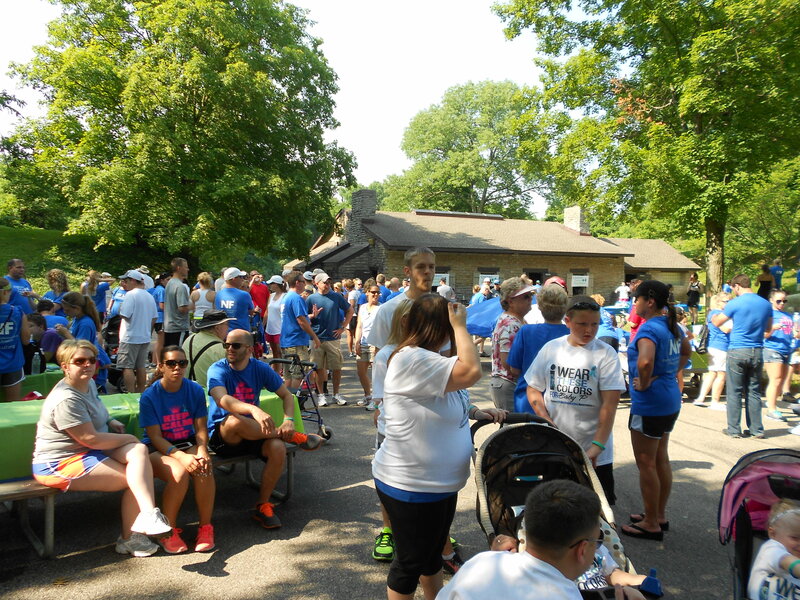 The NF Walk took place at the Sharon Woods Lakeside Lodge which had at the half way point an area with bathrooms and picnic tables in a shaded area. This is probably why I came in last, because we stopped there and I was able to eat an apple, which greatly boosted my energy to finish no matter how bad my left foot felt. Instead of joining the picnic, my aunt and uncle treated us to a delicious lunch at a local deli. 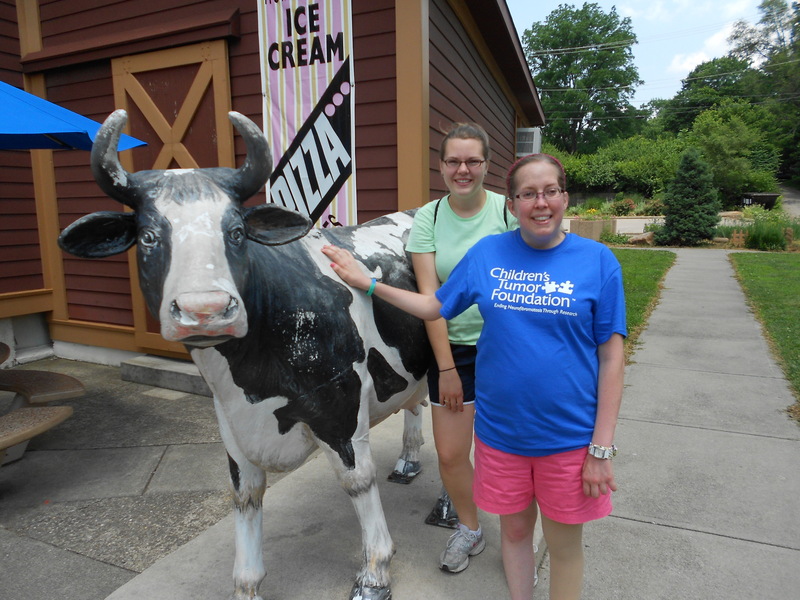 🙂 They left afterwards to head home and the rest of us made our way back northward, stopping in Lebanon for ice cream at a place called Double Dip. If you are ever in the area, it is worth your dessert appetite. 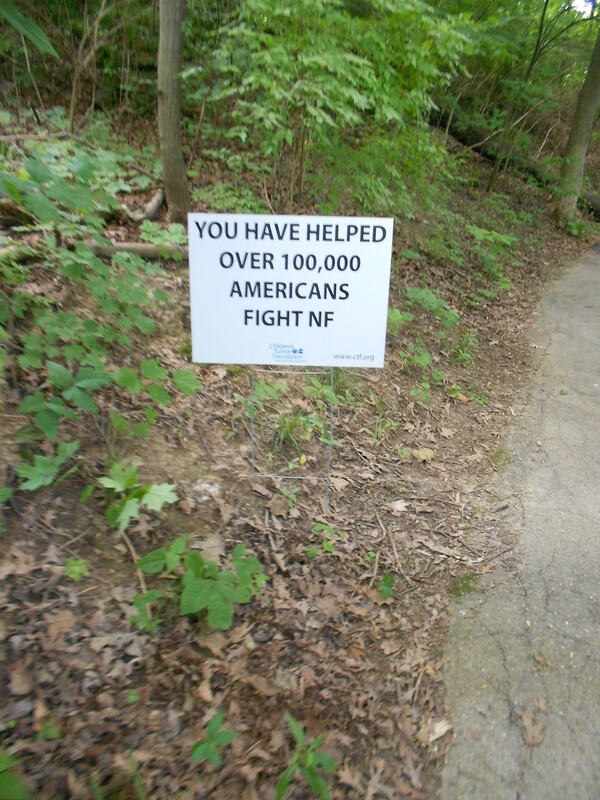 I just wanted to say thank you again…from the bottom of my heart for the love, support and prayers that you have shown me over the past ten years and this week in raising funds on my behalf for NF research. 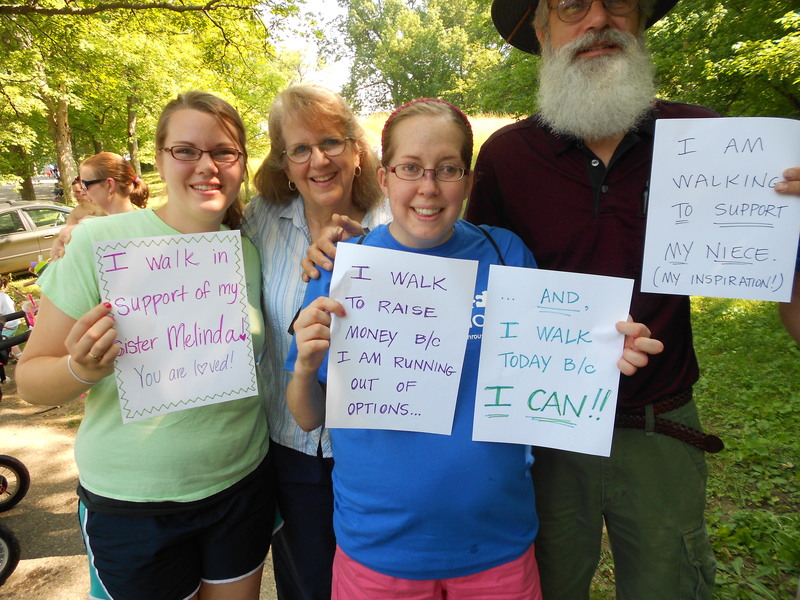 I’m really happy that you made it through the walk….I know you had many praying for you. What a wonderful team you had with you:) You are loved Melinda! My determination to finish would not have been so strong without help and the prayers of many. I am glad I did this though! Love the pics! Sounds like it was a good day although tiring. So glad you did it. You are amazing!! We love you, Melinda! Yeah, we got home and watched a Disney movie with popcorn before Mom and Dad came home. It was just needed. 🙂 Love you too! Hooray! Their for sharing pictures! So glad the parents could be there. I hate, though, that we missed the fun. Melinda… I am happy for you!! Love you so much!!!! Love the pictures too!!!! Lovely team!!!!! Go go go Mel!!!! Thanks A.B. Maybe next year I can walk Sophia 😉 LOL. She would give me the pace to keep going. Miss you guys! Thanks for sharing your special day with us. You are an amazing young lady. I love you. Hi Mrs. Morford! During the walk I kept telling myself that I have to finish…what kind of a blog post would that be if I gave up. Actually, I was more concerned of sleeping in and missing it altogether! :O Glad that did not happen. Miss you. You are my hero, Melinda! You are in my thoughts, prayers, and heart! Thanks for the kindest words. This past week, I really stopped to take a look at how encircled I am with family and friends. It felt a bit overwhelming (in a good way). Plus with Mom and Dad in CO, I just really missed “home” and everyone in CO. But I realize I am here for a reason, so I accept that too. 🙂 Thanks for keeping me in your prayers. 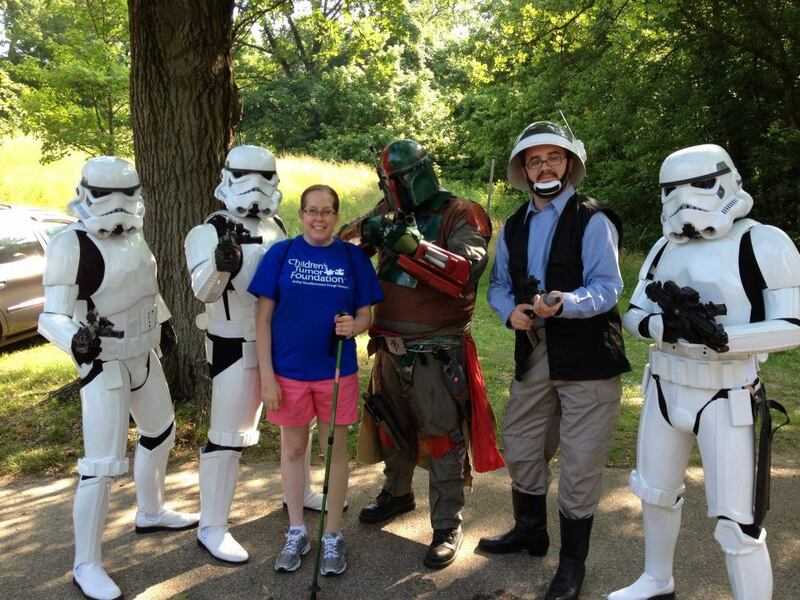 So glad to hear that the walk was so successful!!! You are in my thoughts and prayers everyday!!!! You are such an inspiration!!!! I should have sent an email to you about it. Sorry! In all honesty though, it was my sisters who really took this under their wing as I did not tell many people about the money part of it. I just wanted to walk but then realized a few days before that if raising money helps then I should be proud of that too. Mel. I’m so proud of you and your strength. You are an inspiration to me. I am running my first 50 mile race tomorrow and though I am able bodied I know it will be hard. When I think I can’t go any longer I will remember the strength you had to do this walk and have that help me through. You inspire more people than you know with what you accomplished! Very proud of you and as always have you in my thoughts and prayers. Great job girl! Thanks for your prayers and encouragement. Sometimes it is hard to see accomplishments–I often think of them in terms of big things, but I am learning to see more accomplishment in the things I can do, even the small. Yay!! This is so great to hear! I texted Melissa that afternoon to see how things went 🙂 Thanks for sharing the story of the walk, and all of the pictures! Love you! Well thanks for checking in on that day! 🙂 I was happy to be part of the walk…I hope to do another one if they have it next year. (minus the black nose part LOL). My favorite picture is the one with us holding the papers.